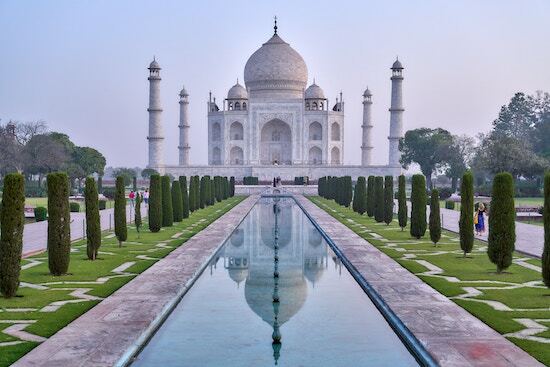 Are you traveling to India for the first time? If the answer is yes then you need to read this article till the last word and learn a few things before flying to that country. It is a fact that India is a challenging yet magical country. Also, you might be seeing something you have never seen in your whole life, in this country. So, if you are traveling to India for the first time then you need to read a proper guide to be prepared for sure. You need to expect other things such as chaotic madness and innumerable challenges. Here are the survival tips you need to know. India offers so many beautiful places you need to visit and we think that you will need one month of a trip to enjoy all the places in India. We recommend that you need to spend at least two nights for each place you want to visit. Other than that, the longer you stay in one place the more you will get locals to spill their insider tips. Do not worry because English is considered a common lingo in this country. For the money, you will deal with Indian rupees. You can use credit cards but you need to make sure that you know the pin codes to avoid unwanted things with your hand-sign. Baggy clothes would help you a lot. If you are not sure where to go and where to stay, you may call the tour services in India. There are several reputable tour services and they will be happy to arrange your trip. However, if you insist to go on your own without the help from the travel agent then you may ask the local guides. You can just make a list of places you want to visit and ask for the guide service for their insight. It is better to not drinking the tap water. Even if the water is filtered, that thing might not work and the worst will attack you. Also, you also need to avoid eating salads, fresh fruit juices, hand-made ice creams that look tempting but not worth it. Traveling to India without comprehensive health insurance is a fool move no matter how healthy you are. Do not forget to take the vaccinations. You can also make a list of English-speaking hospitals in India or near the places you will visit. In big cities, you might find taxis easily. Using a taxi from the airport to the hotel would be helpful if you arrange the payment from the pre-paid counter inside the terminals instead of getting scammed. Another option is the trains. However, it could be overcrowded in most time even though it is great for short trips besides its cheap price. Hiring a car along with the driver would be a great choice if you are traveling to India for the first time.